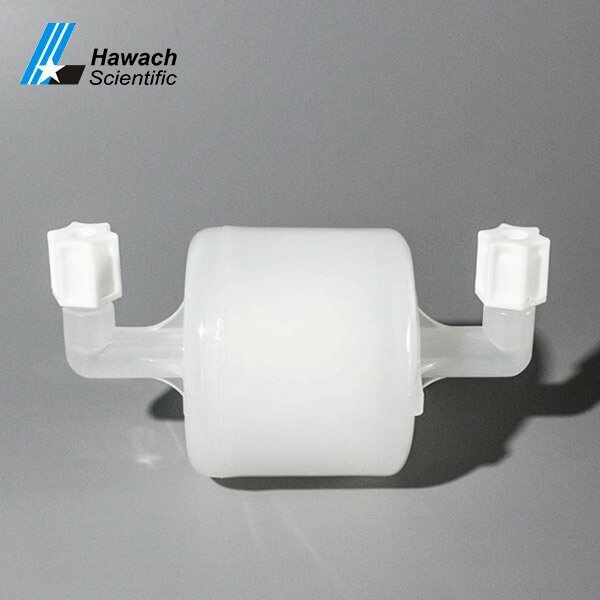 Hawach filter capsules can choose a variety of specifications size, can meet a variety of different types. 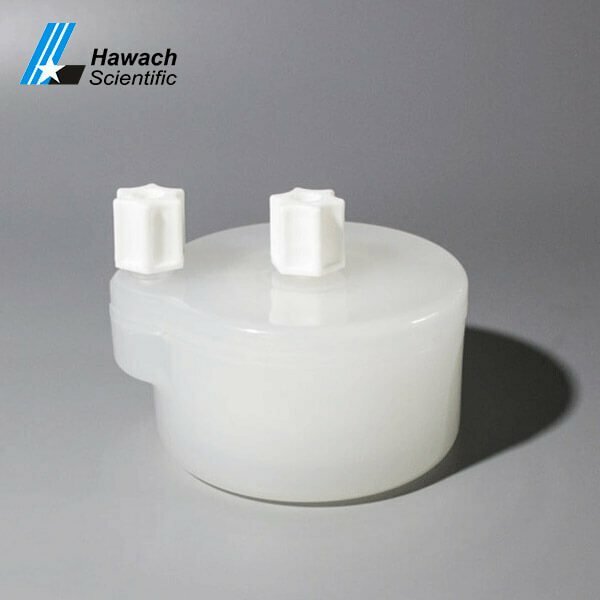 The inlet and outlet and exhaust outlets are equipped with the standard NPT or saw-genlock interface, which can connect pipes of different sizes through the corresponding swivel joints. 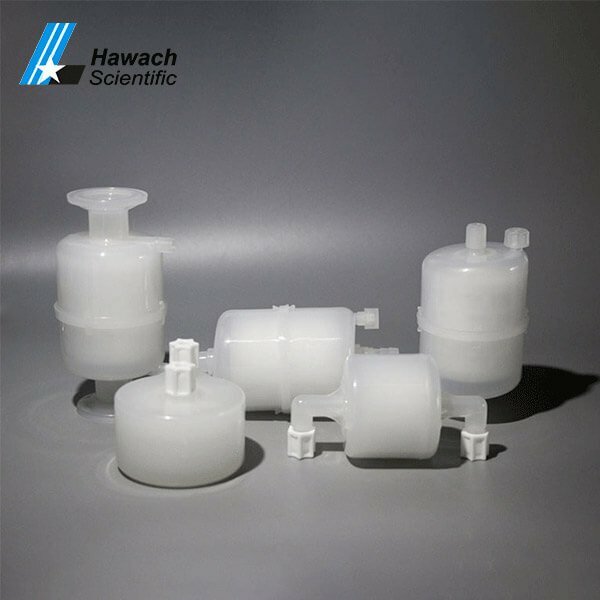 The installation is fast and the service is convenient. 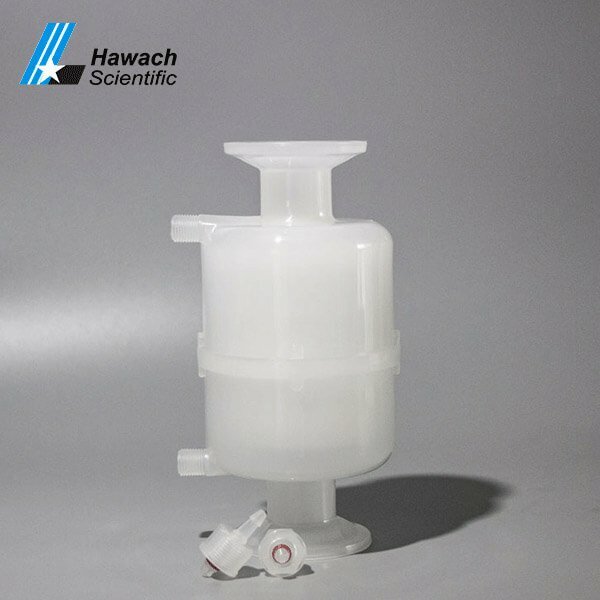 Suitable for the small dosage of liquid and gas rapid filtration.